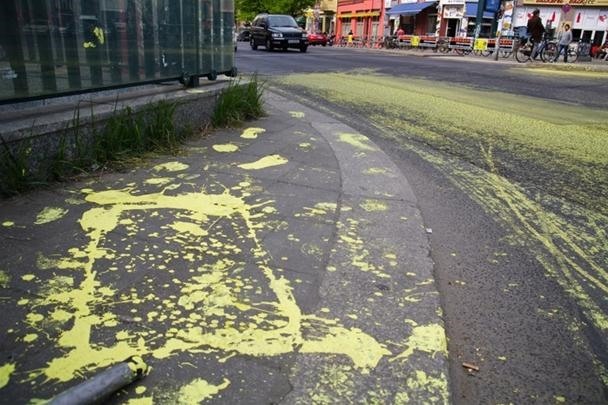 Cyclists and unknowing vehicle participants "collaborated" on a public guerilla graffiti art piece in Berlin this last week. 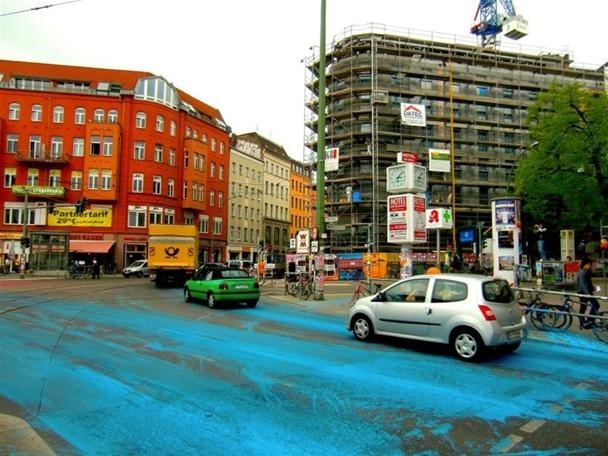 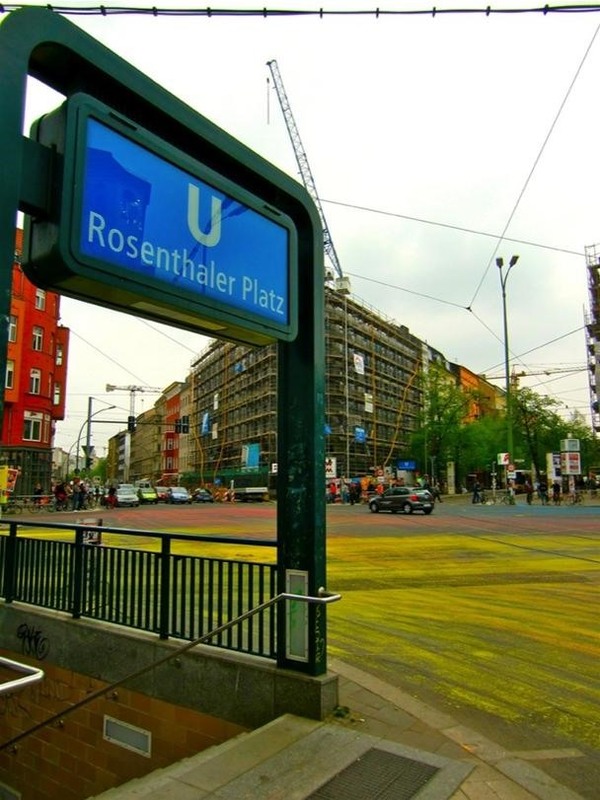 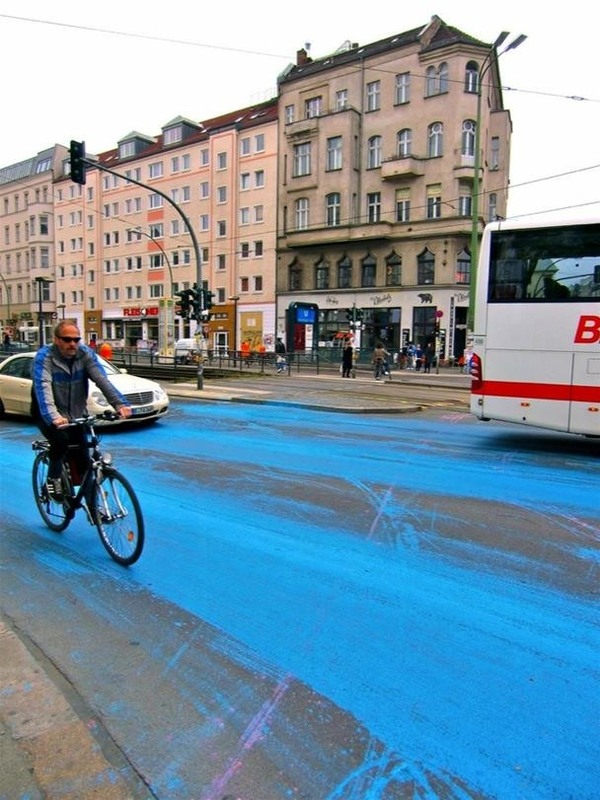 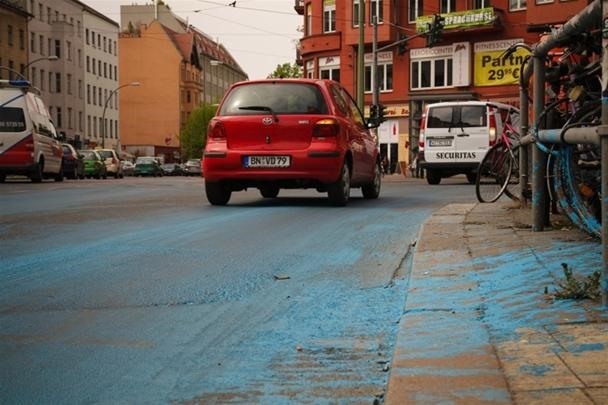 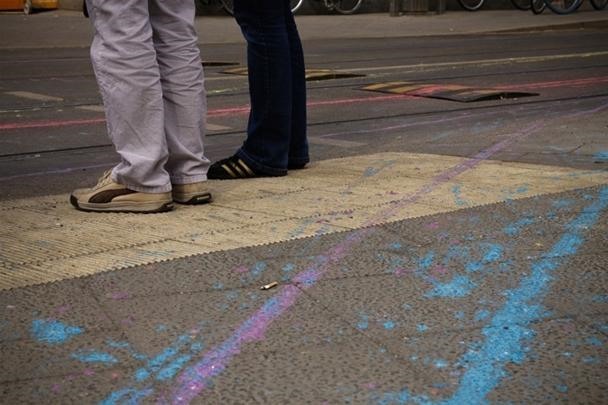 "A group of cyclists dumped 13 gallons of paint on the road at Berlin's busy Rosenthaler Platz, creating a series of colorful lines as cars drove through. 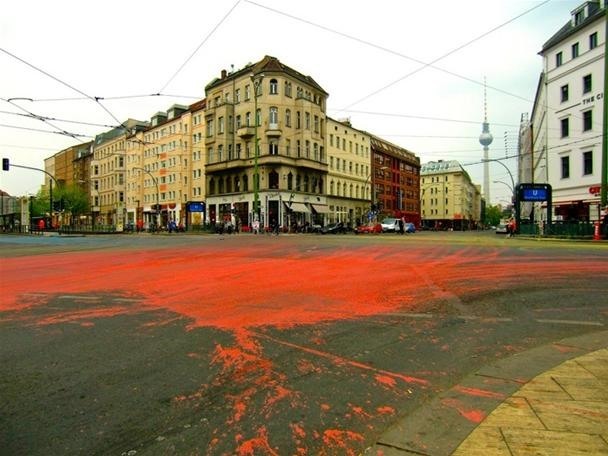 The various colors of paint were dumped onto the road in large puddles at different locations throughout the intersection. 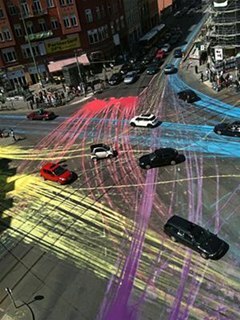 As traffic drove through, the paint was spread around creating lots of colorful lines. 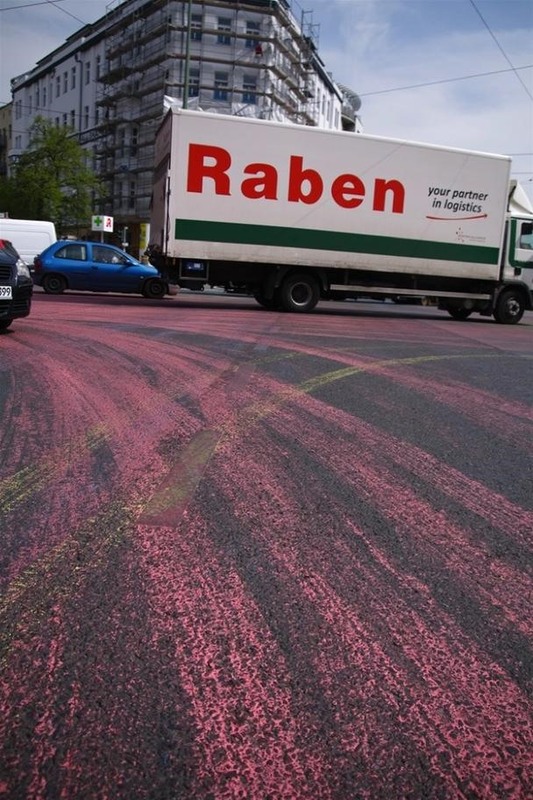 The whole action took only a few seconds: bikers had poured paint from big boxes in front of cars that waited for green lights. 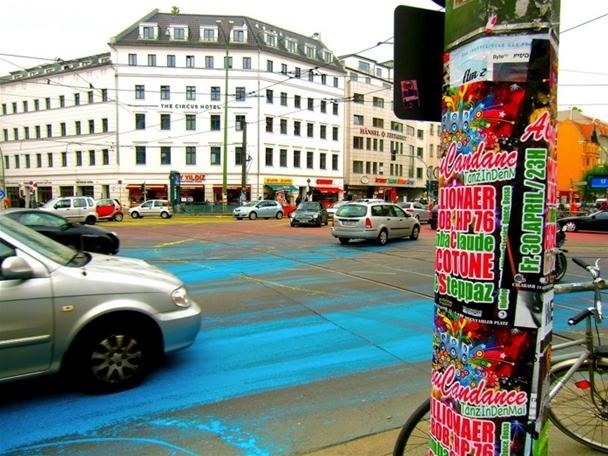 So the cars and their wheels, if the driver wanted it or not, became the brush tool for this guerilla public art piece. 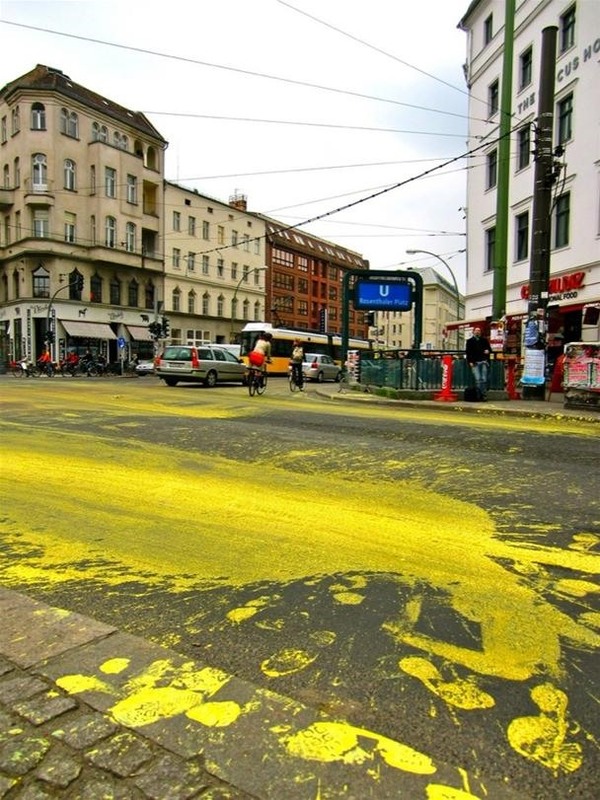 The creators of the project posted signs on post nearby explaining that the paint wasn't harmful and would simply wash off with water."